Even with Netflix’s Sabrina revamp, Luca Guadagnino’s Suspiria, the Charmed reboot, and Black-ish creator Kenya Barris’ upcoming new take on Bewitched, there’s no such thing as too much witch content. If it involves magical women and a solid cast, you can count us in. 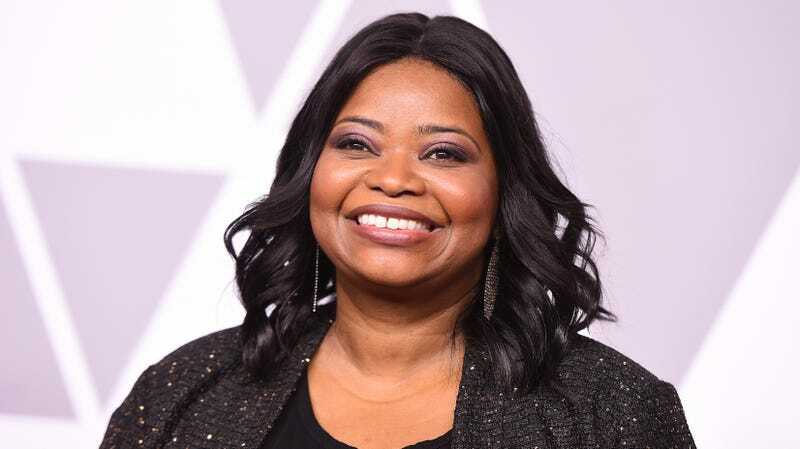 The next witch reboot on the way just got even better, with Octavia Spencer joining Anne Hathaway in Robert Zemeckis’ adaptation of The Witches. The 1983 Roald Dahl novel follows a young British boy who encounters a coven of witches as they plot a wicked scheme. The Witches was already adapted for the screen in the 1990 movie of the same name led by Anjelica Huston, playing an evil witch queen who turns a boy into a mouse. But according to reports, Zemeckis’ version, which he’s directing and co-writing with newfound witch reboot enthusiast Barris, will more closely follow the children’s novel. Variety reports that Spencer is in talks to join the cast, which includes the previously-announced Hathaway, along with newcomers Jahzir Bruno and Codie-Lei Eastick. Spencer will play the grandmother of the boy (Bruno) who discovers the witches—and if we look to the book for clues, she won’t just be a sweet ol’ granny, but a former witch hunter. Hathaway will (hopefully) camp it up as the Grand High Witch, the leader of the world’s witches originally played by Huston. Similar to Barris’ plans for the Bewitched reboot, which is said to follow a black single mother, this remake is swapping the all-white lead cast of the 1990 film for two lead actors of color. Another recent rumor suggested Zemeckis and Barris’ script will also move the book’s London setting to a resort in the American south. This could be end up being much more than a lazy rehash of a children’s book. Either way, who could refuse the combo of Spencer vs. Hathaway plus witchcraft?